I love to enjoy a nice glass of iced tea during the sweltering summer days in Florida and relax in the evenings with a cup of hot tea. Salada Tea and Red Rose Tea both offer a wide selection of delicious, high quality teas to make it easier than ever to enjoy delicious iced teas. 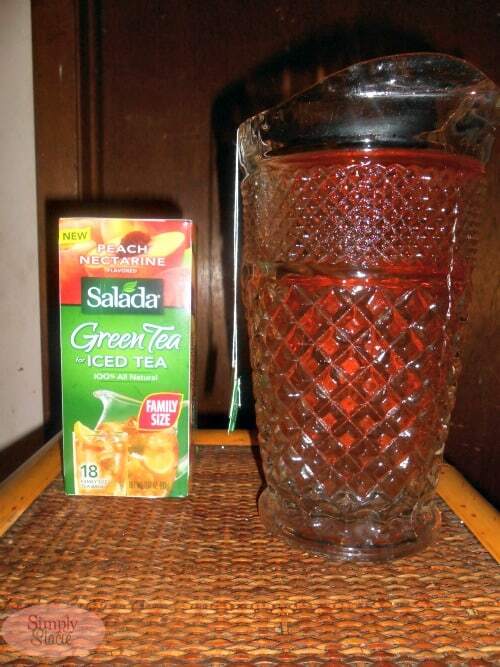 Salada has a wonderful Black Tea for Iced Tea Berry Patch available in convenient family sized bags that are designed for brewing the perfect pitcher of iced tea. The scent of 100% natural Blueberry & Acai berry is intoxicating as it blends perfectly with the black tea. As a native Southern gal, I like my tea sweetened but I find that this has a lovely natural sweetness so I don’t even need to add stevia or sugar to it. I was also very pleased with the Green Tea for Iced Tea Peach Nectarine which was absolutely delicious with ripe peach and nectarine fruit flavors. Even my husband who doesn’t care for green tea thought this was very tasty as an iced tea. The green tea has no bitterness and the pairing of the fruits makes this a wonderful summer iced tea blend. This one is a favorite with my three children too! 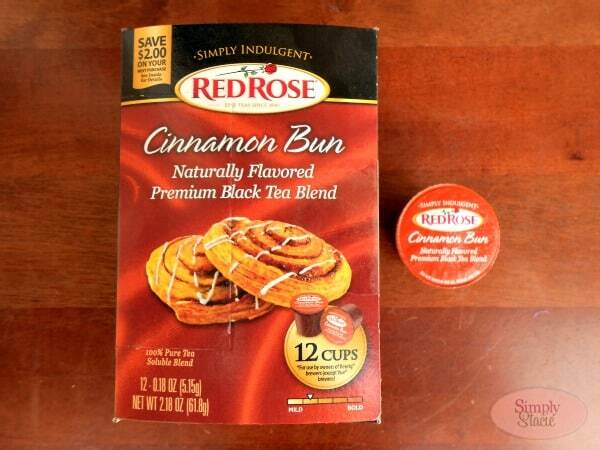 My Mom was so excited to try the Red Rose Cinnamon Bun (SRP $8) which is a naturally flavored premium black tea for the Keurig® brewer. She said that it had a fresh cinnamon flavor giving it a pleasant spiciness and a hint of sweetness from the sugar and Stevia. She also loved the aroma of this particular tea too. This comes in a box of 12 cups and she said it reminds her of her favorite tea….a nice chai after she added a touch of fresh cream. She and I also enjoyed chatting over a cup of the Red Rose Sweet Mint (SRP $8) naturally flavored premium black tea. I grow my own mint in my herb garden and this has the same fresh taste…….a delicious blend and very relaxing as an afternoon tea. 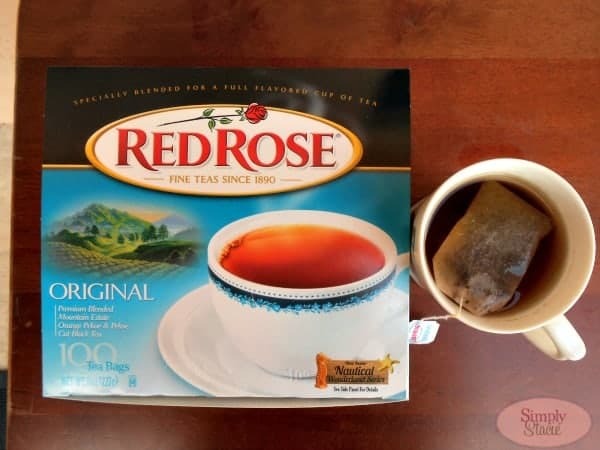 The Red Rose Original Black Tea (100 count for $3.75) is my favorite for a cup of hot tea as it is made with a premium blended mountain estate orange pekoe and pekoe cut black tea. This is my go-to tea for time alone reading a good book. It is easy to see why this is a tea that has been enjoyed for over 100 years, it is exceptional in quality and flavor. Connect with Salada Tea and Red Rose Tea on Facebook. Connect with Red Rose on Twitter. Thank you for this wonderful review. I was looking for something different (tea-wise) and I will definitely put this on my shopping list. The Salada Tea and Red Rose Tea seems delicious. We tried Salada Black Tea a couple of years ago and it was good, have to check them out. Yum looks good! I love iced tea on a hot day too. it’s so refreshing. Ill have to look out for ths! I’m going to have to try these two teas. They sound refreshing. Lots to choose from. I love iced tea with lemon but would like to branch out. We hear so many good things about Green tea and black tea; I would love to know more about my own tastes and likes when it comes to them. These sound like good brands to try for some good natural taste.